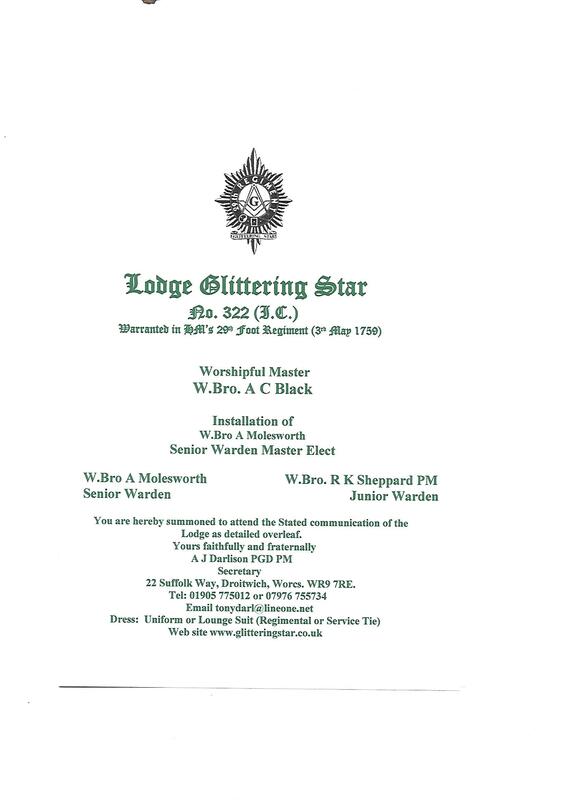 Installation meeting on Saturday, 17th March 2018 - Glittering Star 322 I.C. Glittering Star Lodge 322 I.C. Will hold it’s Installation meeting on Saturday, 17th March 2018 at The Molesley Masonic Hall, 121 Alcester Road South, King’s Heath, Birmingham. BT14 6DT. We will be honoured by the presence of the R.W. 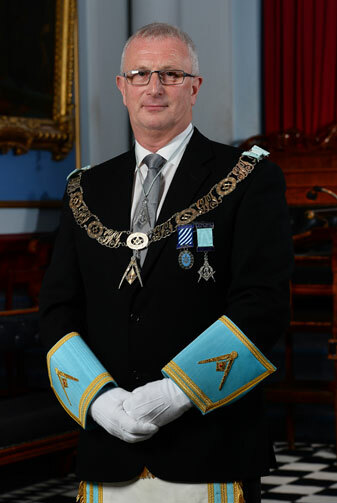 Assistant Grand Master, R.W.Bro. Leslie Nixon. If you are suitably qualified and would like to witness the Irish Installation Ceremony please let us know – we would be delighted to see you there.